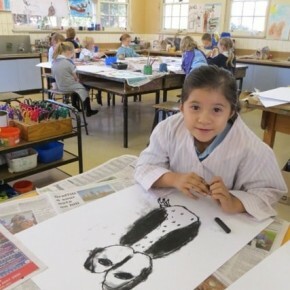 Wild Strathbogie Art – Schools lead the way. 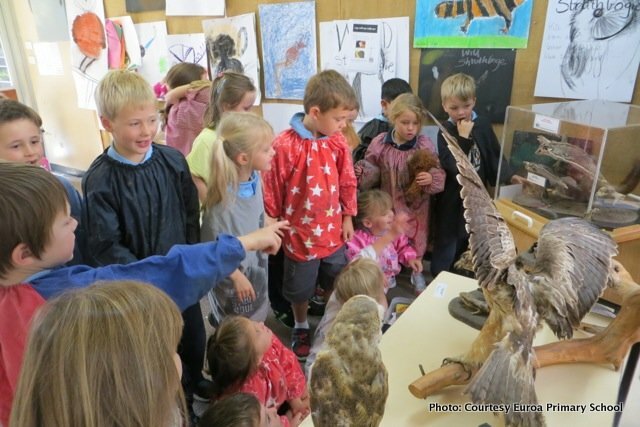 November 2014 will see the exhibition of local art and artists in Wild Strathbogie. The exhibition will show at several venues, but the main gallery space will be at SheilaInc Gallery in Euroa. Other possible exhibition spaces are the Euroa Library, the Ruffy General Store and a venue in Strathbogie. The art-works will also be exhibited in the public access areas of the Shepparton Art Museum. 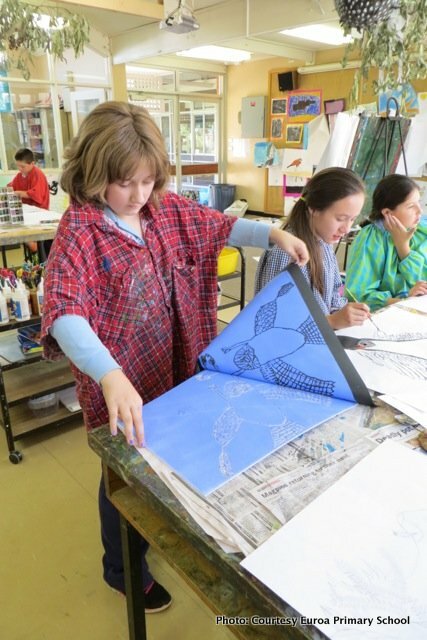 One of the 5/6 students participating in the program coined the phrase ‘Wild Strathbogie’ in describing his drawing to Pauline Fraser, one of the program coordinators – the name stuck! . The idea for this exhibition was hatched by two of the organisers of last year’s Butterfly Festival Art Show, Pauline Fraser and Penny Algar. 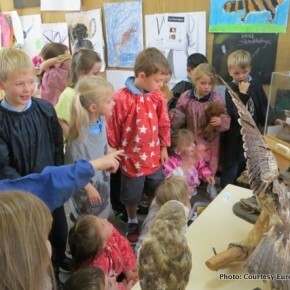 That show was such a hit with the participating kids that Pauline and Penny were keen to extend the theme to include all of nature. To assist with inspiration Dave Smith from DEPI in Benalla arranged the loan of a marvelous collection of mounted fauna specimens. Pauline has been working on the theme with all grades for several months and it has been incredibly successful. The standard of work is very high. The finished result is looking good. 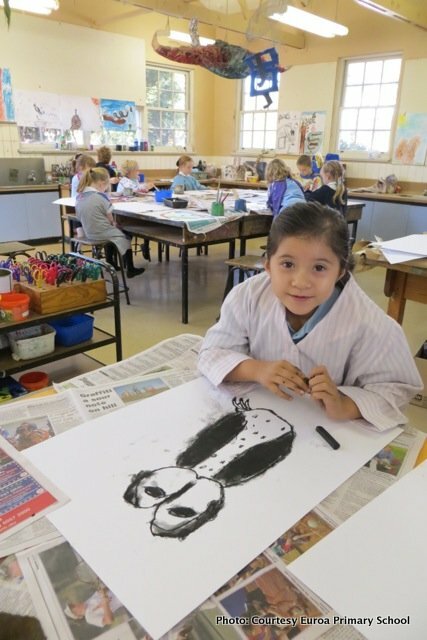 When Penny visited the 2/3 class, there were children sketching in pencil directly from a stuffed platypus. There was a group making clay animals. 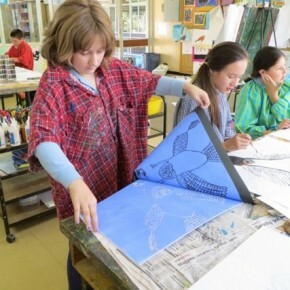 Another group was printing Platypus inspired scenes from polystyrene printing plates. Others were doing paper mache life sized owls. Most of the display animals (lizards, possums, gliders etc) have gone back to DEPI, but there is still a beautiful owl in the classroom. As a show of appreciation. 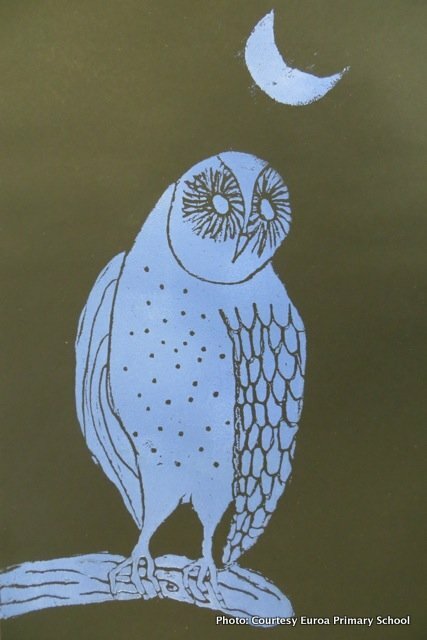 Dave, who has been very generous, was gifted a beautiful owl-print by the kids. The children have been incredibly careful and respectful around the collection. Not satisfied with putting this exciting exhibition together, Pauline and Penny are now looking for funds to produce a book of the children’s art-works, so they can be shared and be available to a wider audience. It’s a great idea, however, they’re still looking for funding. Whether the book goes ahead or not, if these early indications are anything to go by, certainly the kids’ section of Wild Strathbogie will be amazing!